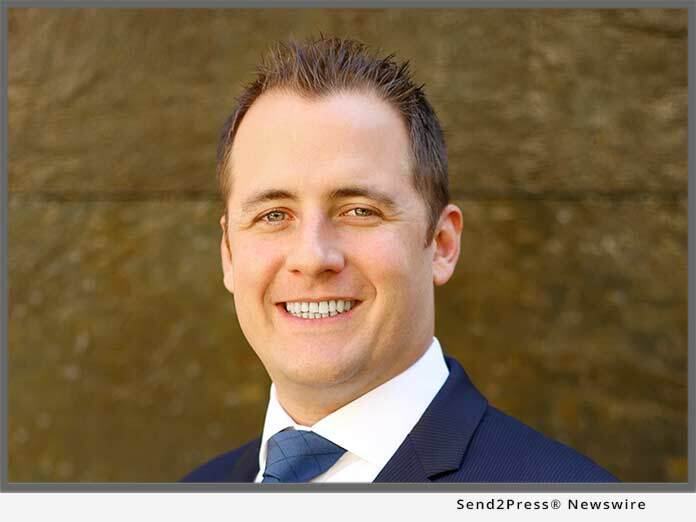 LOS ANGELES, Calif., Dec 03, 2018 (SEND2PRESS NEWSWIRE) -- Mortgage Quality Management and Research, LLC (MQMR) announced today that its President Michael Steer has been recognized by HousingWire magazine in its fourth annual HW Vanguard Awards(TM) program. Steer was honored for his efforts in building a diverse workforce and establishing a strong corporate culture that values employee feedback and community service. Steer...believes in a "hire the best" philosophy, a method that's led the company to hire from different age ranges and backgrounds...Nearly 80% of MQMR's workforce is female, and more than a third are minorities. Additionally, the age range of the company's employees stretches from 21 to 63...This year, Steer implemented Officevibe, an internal, anonymous survey platform, to allow MQMR employees to provide direct and honest feedback on the organization and offer suggestions on how the work environment can be improved...Additionally, Steer led the charge on MQMR's philanthropic efforts this year, which include a volunteer day at Camp Impact, a camp for underprivileged children, and the company's internal "MQMR Goes Pink for Breast Cancer Awareness" campaign. The HW Vanguard awards recognize individuals who have made vital contributions to their company, as evidenced by expanding products and services that are changing the industry. This year, 52 winners were chosen, many of whom are founders or co-founders of their businesses. The 2018 Vanguards were chosen by HousingWire's editorial board based on their accomplishments in 2018 in both their companies and the industry sector they represent. "As the Vanguards award program continues to grow and to be more successful, the entry point gets tighter," said Jacob Gaffney, HousingWire Editor-in-Chief. "These winners are truly the best Vanguards in the mortgage finance industry, and they all deserve the highest honor in the space." HousingWire asks each of the Vanguard winners to reflect on practices or advice that have led to their success, leading Steer to highlight the quality of employees at MQMR. "Constant education, professional development and growth - there is always something, or someone, you can learn from, which is why you should always surround yourself with people smarter than you and to hire the best available," Steer said. "Not only are you bound to build a team that challenges and motivates you, but I've also found that diversity naturally flows from this strategy, which further helps create a dynamic work environment that promotes constant learning and growth both personally and professionally." For the full list of this year's honorees, visit https://www.housingwire.com/articles/47526-meet-the-2018-hw-vanguard-award-winners. HW Media is the leading digital community for real estate, financial services and fintech professionals to engage, connect and gain knowledge. Founded in 2016 through the acquisition of HousingWire, HW Media is based in Dallas, TX with team members across the country. HW Media is owned by Riomar Capital. HousingWire is the most influential source of news and information for the U.S. mortgage and housing markets. Built on a foundation of independent and original journalism, HousingWire reaches over 40,000 newsletter subscribers daily and over 4 million unique visitors each year. Our audience of mortgage, real estate, financial services and fintech professionals rely on us to Move Markets Forward. Visit https://www.housingwire.com or https://www.solutions.housingwire.com to learn more. MQMR bridges the gap between risk and compliance through its suite of risk-related services. Since its inception, MQMR has launched multiple products and services to assist lenders in navigating regulatory requirements, including providing mortgage compliance consulting throughout the origination process, conducting internal audit risk assessments and ongoing internal audit support, servicing QC and subservicing oversight to master servicers, and filling the void of meeting vendor management oversight requirements. With 2,000+ operational reviews of mortgage companies, subservicers, document custodians, and vendors annually, MQMR prides itself on being an industry leader in counterparty risk and compliance. To learn more, visit https://www.mqmresearch.com/, https://subsequentqc.com/, and https://hqvendormanagement.com/.